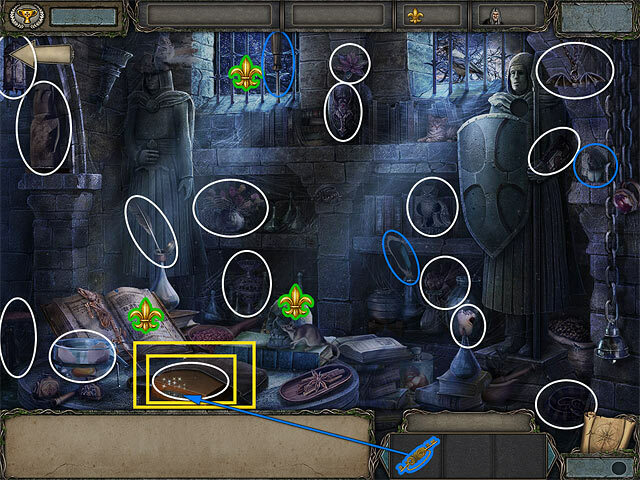 • Collect the LEVER, TWIGS and KEY highlighted in blue. • The Locket, the Spear of Destiny, and the Book are not available yet. • You’ll return later to finish the location. • Take the steps to the Terrace. 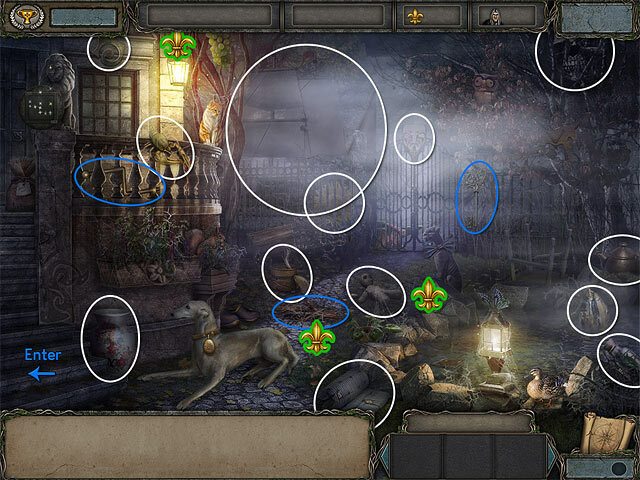 • Collect the WHEEL highlighted in blue. • Click on the Basket to take the Blue Cloth. • Go to the Port Office. • Collect the LIQUID SEDATIVE, FLUTE, PLIERS and HAMMER highlighted in blue. • Put the WHEEL in its place to get the King’s Order. • Go to the Inn. • Collect the KNIFE, ROCK and TONGS highlighted in blue. • Add the LIQUID SEDATIVE to the BOWL and take it (A). 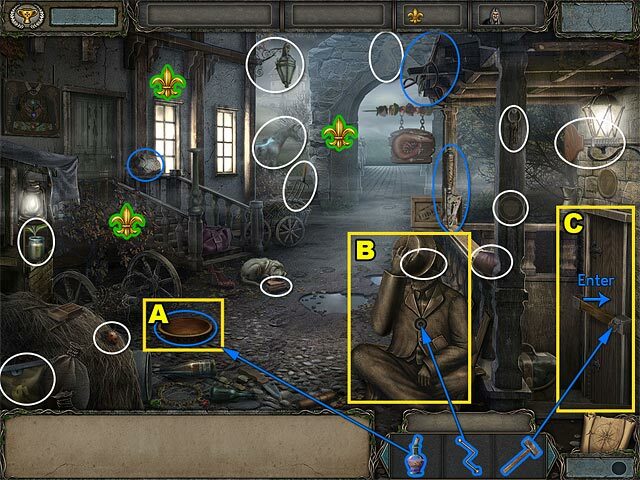 • Use the LEVER to wind up the mechanical beggar and take the Eye Patch (B). 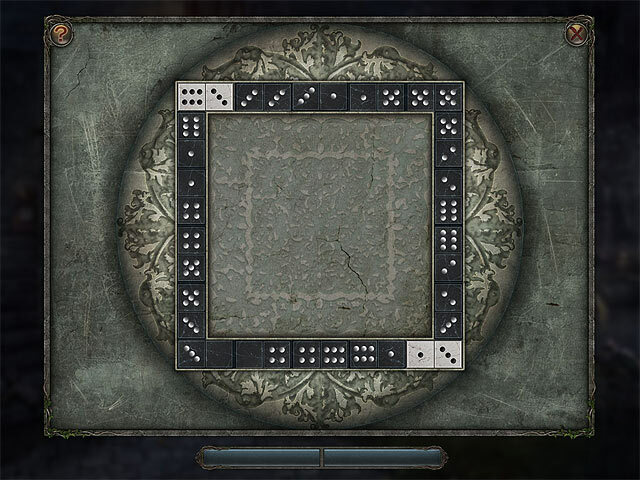 • Once you take the Patch, the entrance to the inn is available. 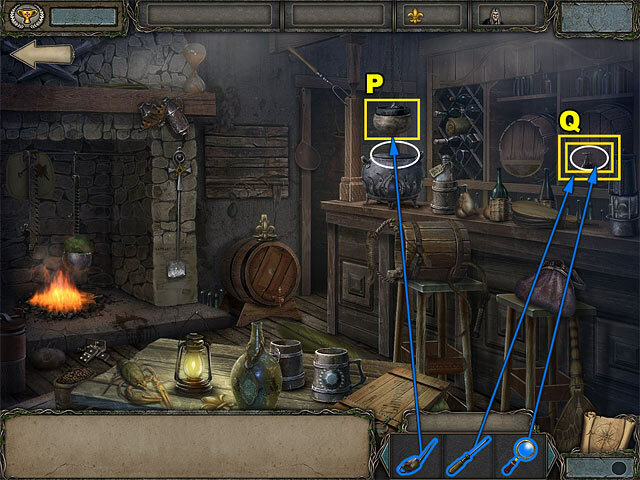 • Use the HAMMER to break the lock on the door and go into the Inn (C). • Use the TWIGS to build up the fire. 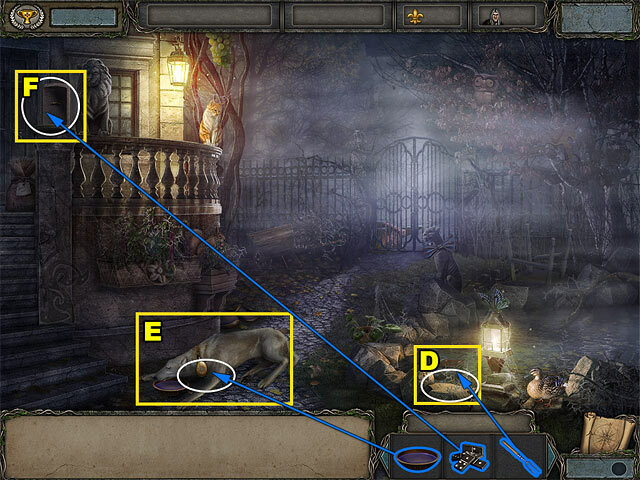 • Collect the DOMINOES, BULB, JEWEL and FORK highlighted in blue. • You’ll return to the Inn Yard. • Add the JEWEL to the signboard. 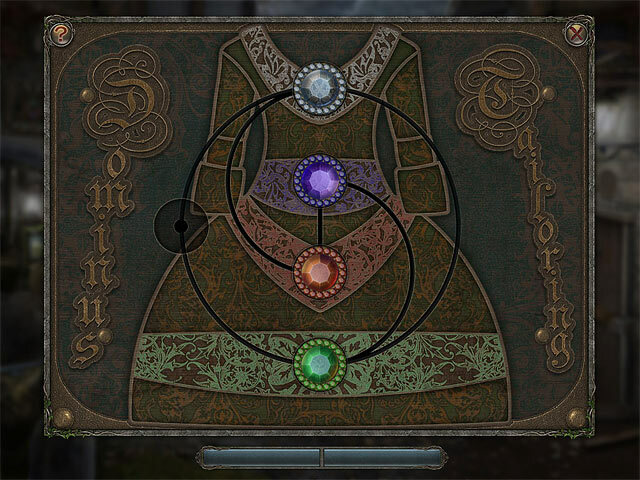 • Rearrange the gems so each matches the color of the ornament. • You can only move gems into adjacent empty slot. - green, red, purple, green, white. • Take the Message from the informant. • Go to De Moreau’s House. • Use the FORK to move the Book (D) to get it out. • Give the LIQUID SEDATIVE to the dog and take the Locket (E). • Add the DOMINOES to the puzzle (F). • Put the dominoes on the board so that the domino halves with the same number of dots lie next to each other. • You must use all the dominoes. • Take the Spear of Destiny. • Go upstairs to the Terrace. • Use the PLIERS to turn the knob to open the desk and take the Chess Pieces (G). • Use the TONGS on the boar’s mouth (I). 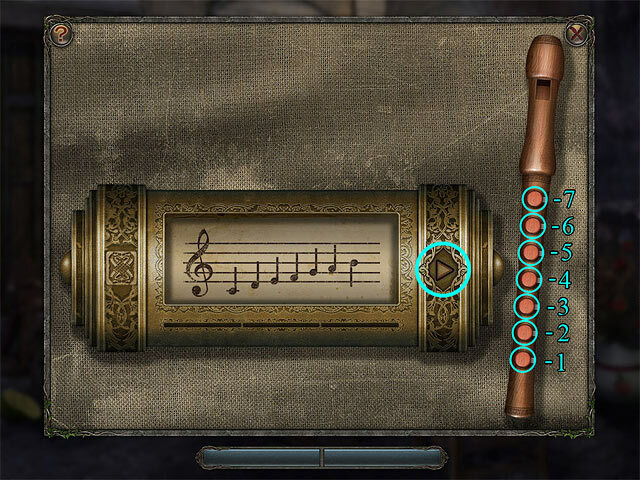 • Use the FLUTE to open the cryptex (H). • Follow the sequence of notes and repeat them in the same order. - Third set: 7, 1, 4, 2, 6, 5, 3. 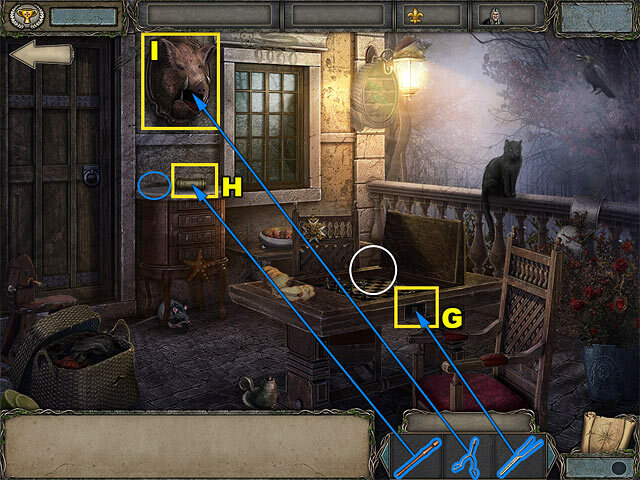 • You can use the PLAY button to repeat the pattern. • Take the KEYS and go to the Abbey. 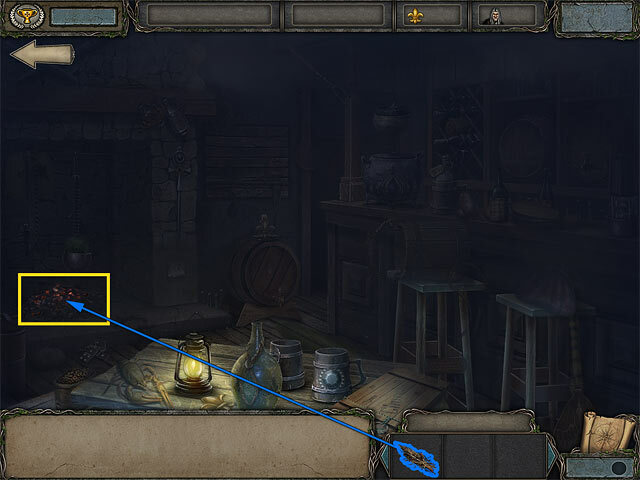 • Collect the OIL CAN and the HANDLE highlighted in blue. • Click the scroll and take the Shoe Bow (J). • Add the BULB to the hourglass and take the Scroll (K). 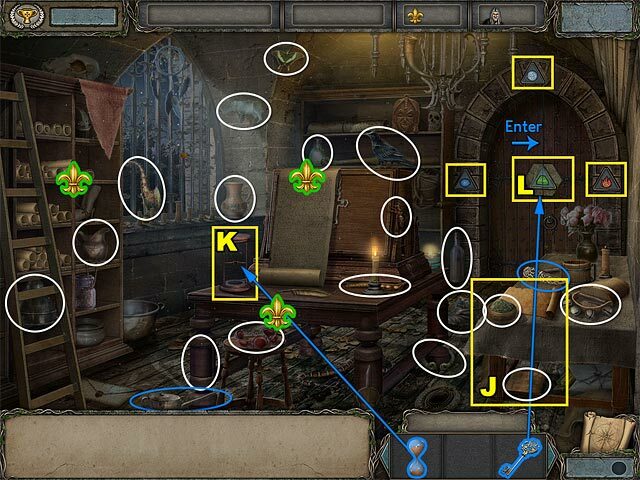 • Click on the symbols on the door arch to move them. • Use the KEY to open the room (L). 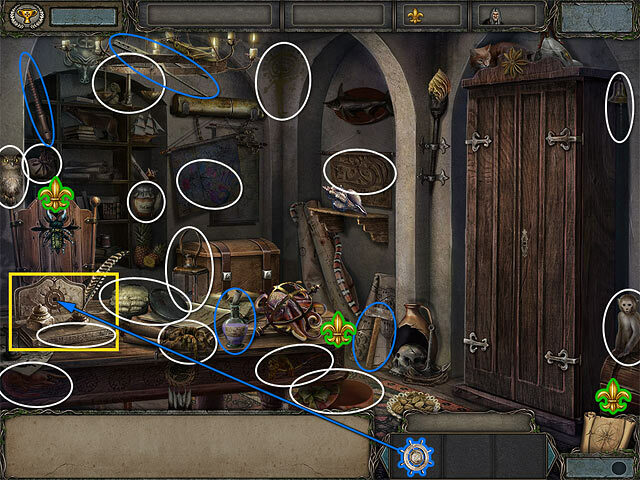 • Collect the SCREWDRIVER, FEATHER and TILE highlighted in blue. • Click the bag to reach the Box. • Use the KEYS to open it. • Insert the keys with matching keyholes. 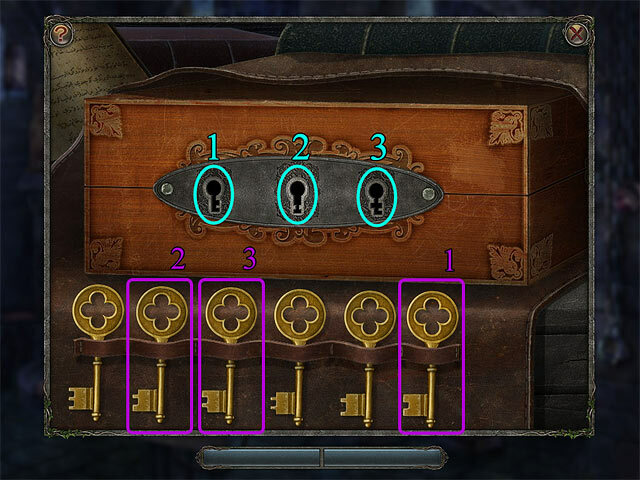 • Pay attention to the shape of the keyholes and keys. 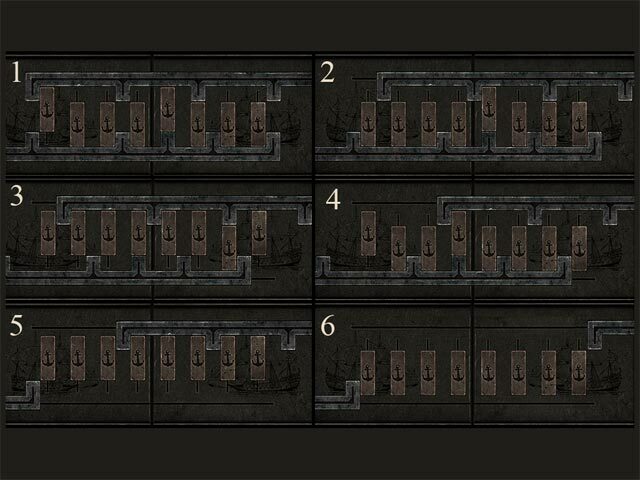 • When you select a key, you can see its shape. 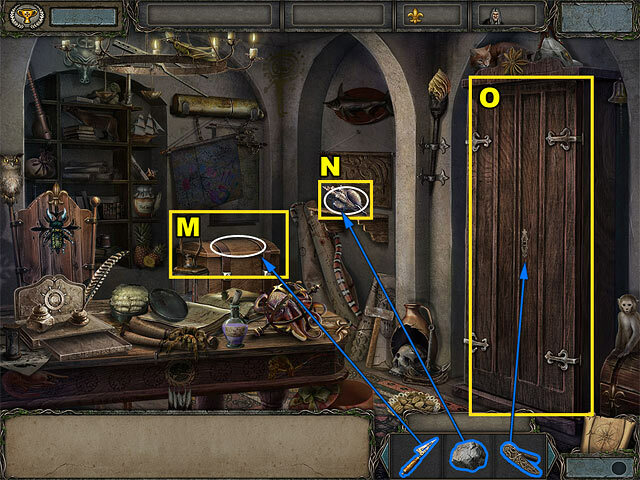 • Use the KNIFE to open the chest and take the Award (M). • Break the shell with the ROCK and take the Note (N). • Use the HANDLE to open the wardrobe and move the clothes (O). • Add the FEATHER to the lock to open it. 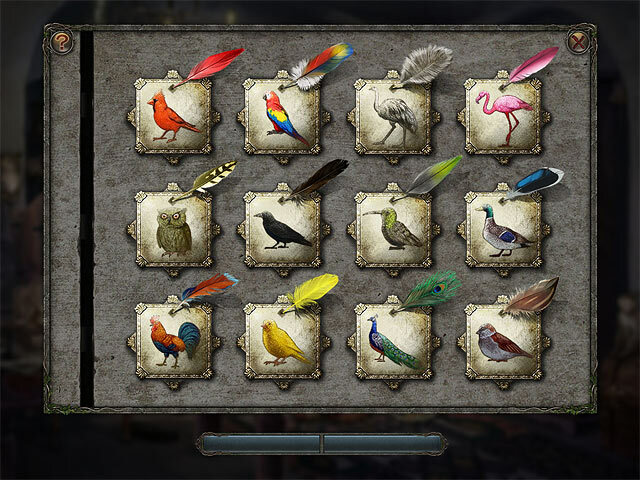 • Match the feathers with the birds to open the lock. • Click on the feathers to swap them. 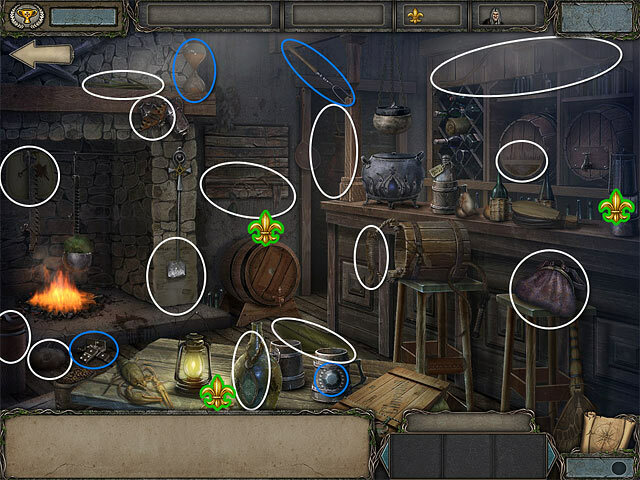 • Collect the MAGNIFYING GLASS and the BROOCH highlighted in blue. • Add the TILE to the table. 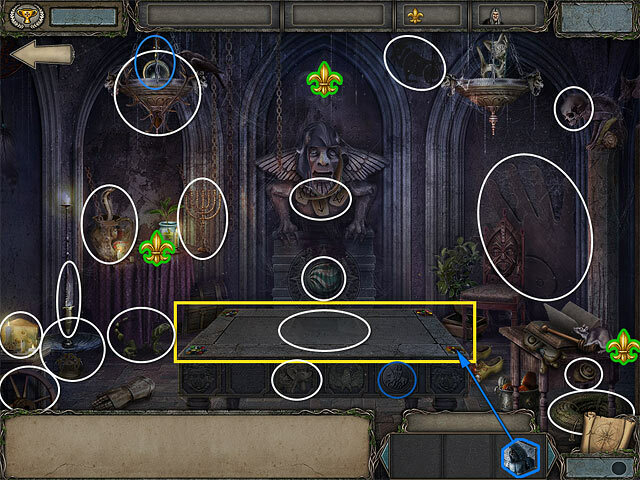 • Click the tiles to swap them and complete the puzzle. • You can swap the pieces between the four pictures. • Take the Map with Soldiers. 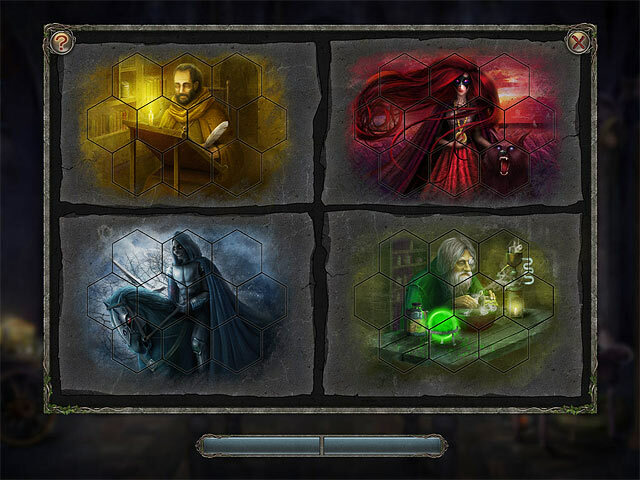 • Go to the Abbey and enter the Lab. • Place the BROOCH back. • Return to the Inn. • Use the OIL CAN to remove the lid and take the Compass (P). • Use the SCREWDRIVER to remove the panel (Q). • Use the MAGNIFYING GLASS to see the ship’s name. 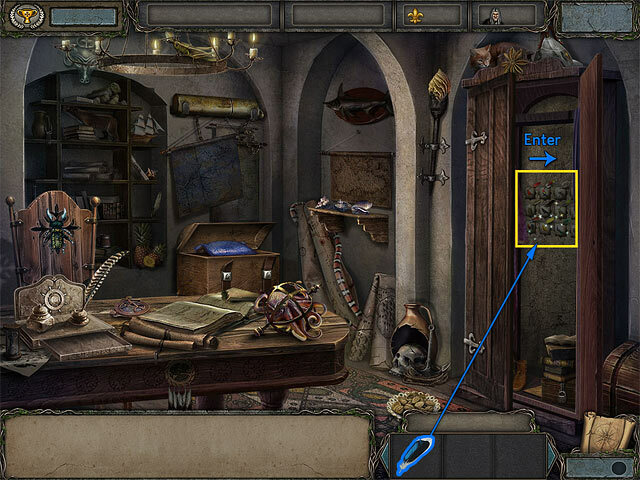 • Place the three relics from the box on the left into the ship’s hold. 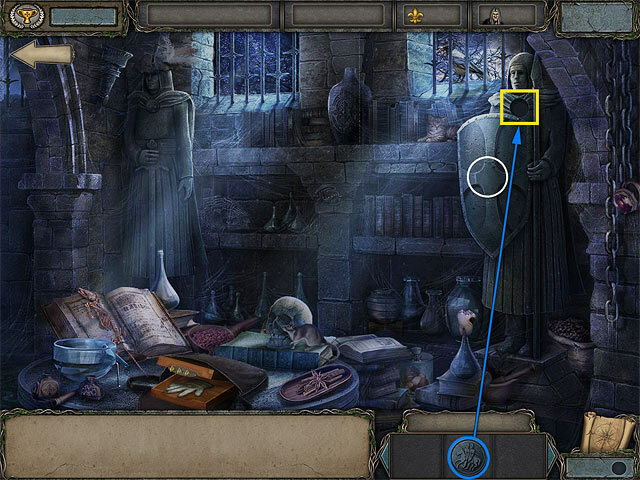 • Click to move an item and click again to drop it in its place. • You will use the Slider later. 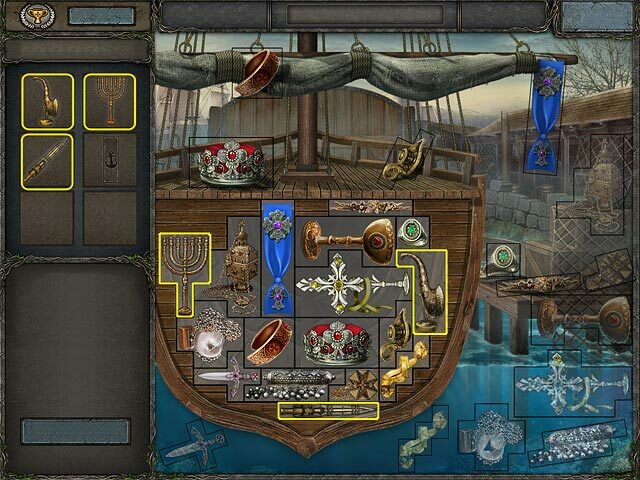 • Put the rest of the items into the ship’s hold without any of the pieces overlapping. 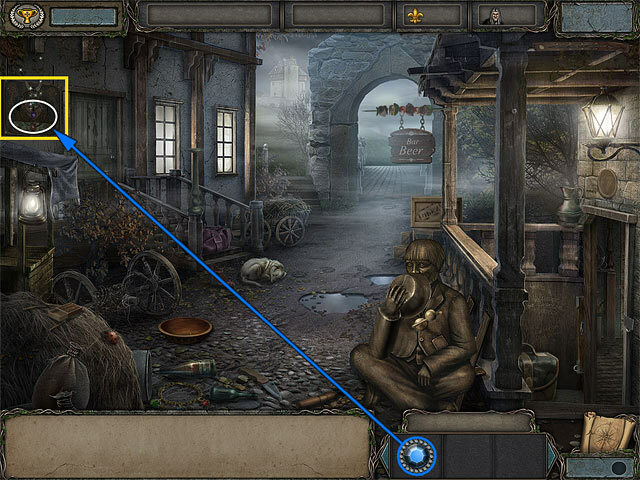 • Put the Slider on the lock and play the mini-game to open the gate. • Move the sliders up and down and slide the top locking bar to the right and bottom locking bar to the left. 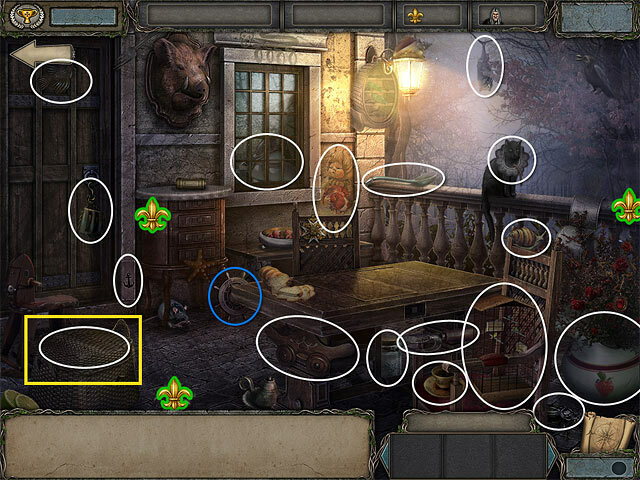 • Use the patterns on the screenshot for help.